How do I install the peg? The installation of the Piranha Peg is quite simple. For BEST results, place the Piranha Peg in the palm of your hand and engage the spikes into the ice 4-6 times to ensure the base of the peg is flush to the ice. Affix the goal post on to the pegs evenly on both sides to ensure the net is resting on the goal line and ready for play. DO NOT PUT PEGS INSIDE POST AND DROP ONTO ICE, SPIKES WILL NOT ENGAGE ALL THE WAY INTO ICE. Each Piranha Peg needs to be spiked into the ice by hand, allowing the spikes to set into the ice for maximum result. Why is the Piranha Peg so short? We designed the Piranha Peg to not only perform while goaltenders integrated into their post play or other tactical movements while near the posts but we wanted to create a net peg that gave goalies the confidence to lean, push and maneuver off the posts without worrying about the net dislodging time and time again. 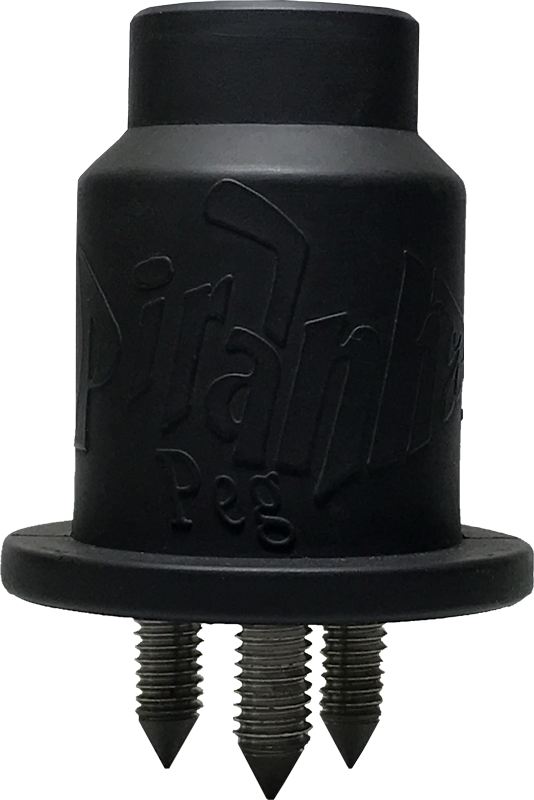 The other key component of the short Piranha Peg design is on a major goal mouth collisions with the net, the short peg can quickly release and move or even dislodge to reduce any major injuries. 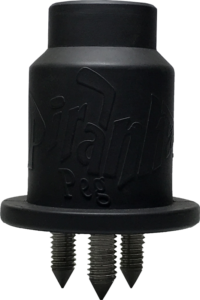 We also enhanced another safety feature into the Piranha Peg design with a tapered top. This unique design helps guide the post up and off the peg on major contact to help reduce serious injuries. How do I remove the peg from the ice? Does the Piranha Peg release during impact? 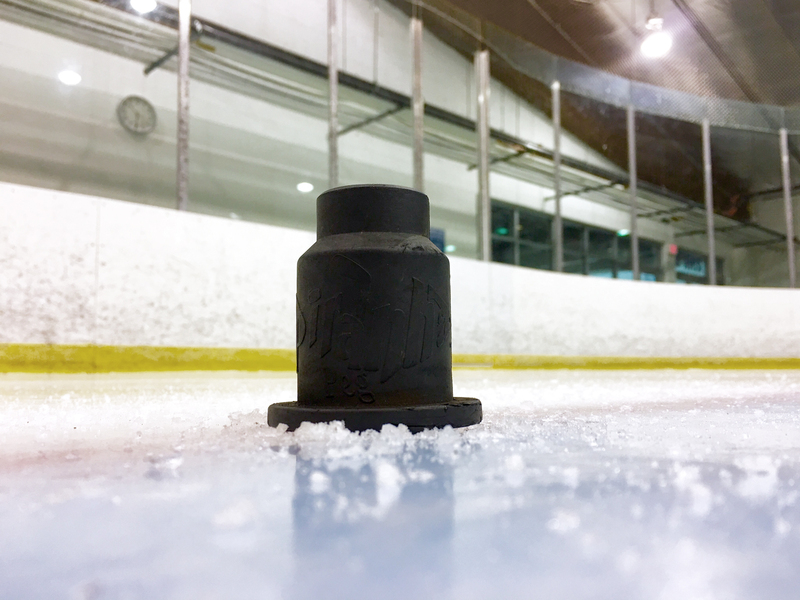 Our pegs are designed to allow the net to separate quickly and cleanly from the ice surface during collisions. Why didn't you make the spikes adjustable? 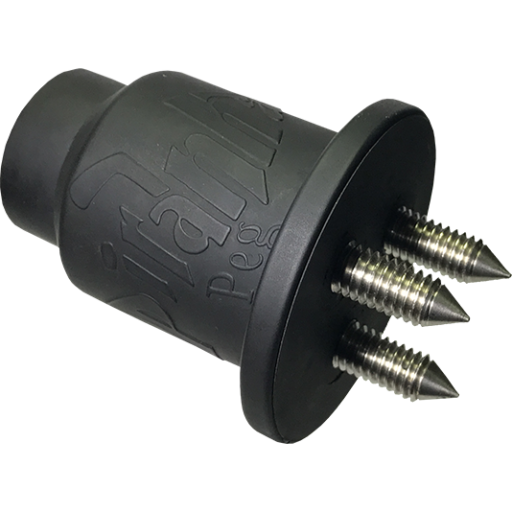 The concept behind the embedded, one piece triangular spike design in the Piranha Peg provides stability and support to the overall construction of the peg. After hours of research with other common adjustable spiked pegs, we discovered that the housing components became fragile, dented, bent and ultimately compromised the spikes performance all together over time. Another major concern with the adjustable spikes were they became loose and unscrewed due to the vibration and jarring of the net. With the spike construction being a major component of the functionality of the Piranha Peg, we felt building a solid spike system and embedding it in rubber was the best construction that would stand the test of time when using the Piranha Peg. Are the Piranha Pegs sanctioned for amateur hockey? We’ve had quite a few questions about the Piranha Peg and it’s usage during amateur sanctioned games and events. You can see that the only requirement that the organizing body has on the product is that it simply keeps the net in place during play and dislodges during impact. 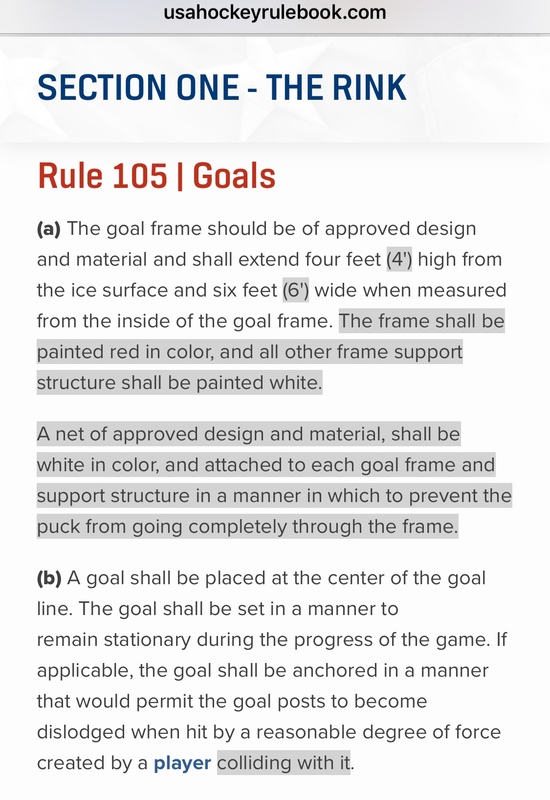 We’ve included a link to the rule book page, section (b) from USA Hockey. Check it out for further review. Why did you decide to use a rubber peg construction? During the research and development stages of the Piranha Peg, we noticed that a lot of metal based pegs from different manufactured materials melted into the ice especially when sprayed with water or “heated up” in hot water prior to using. When these particular situations occurred, the metal based pegs at times would rip chunks of ice from around the posts on major contact or when the pegs had to be removed. We decided to design the entire Piranha Peg out of hard Styrene Butadiene Rubber (SBR) to create a product that truly has excellent abrasion resistance and good aging stability over time to create a solid part. We also found that SBR doesn’t stick or melt into the ice so the performance of the Piranha Peg is always consistent no matter what the ice conditions may be.